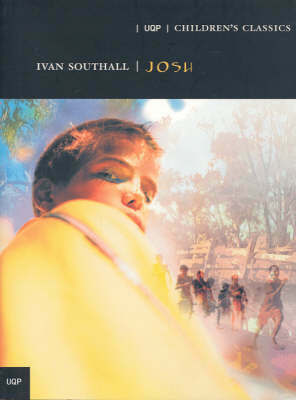 No surprises that Australian YA literature is up there with world’s best. 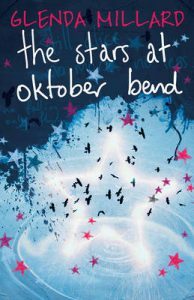 The prestigious UK 2017 CILIP Carnegie Medal shortlist has just been announced and two Australians have been included: Glenda Millard for The Stars at Oktober Bend (Allen & Unwin) and Zana Fraillon for The Bone Sparrow (Hachette). The writing in both these YA novels is sublime. 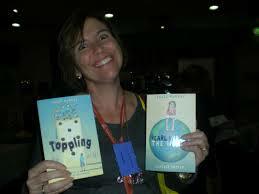 The Carnegie Medal is awarded for writing and the Kate Greenaway Medal for illustration. I reviewed The Stars at Oktober Bend for the Weekend Australian . A memorable scene is of beautiful, damaged Alice Nightingale perched ‘on the roof of her house at Oktober Bend, “like a carving on an old-fashioned ship, sailing through the stars”. She is throwing fragments of a poem into the night.’ Her new friend, Manny, is a former boy soldier. I also reviewed The Bone Sparrow, about young Subhi in an Australian detention centre, in another Weekend Australian YA column, describing it as a ‘universal refugee tale’ and an ‘exalted, flawless book’. They were both in my top 6 YA books for 2016 and both are currently CBCA Notables (the Children’s Book Council of Australia’s long list). 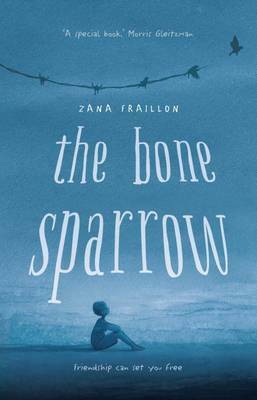 The Bone Sparrow was also shortlisted for the 2016 Guardian Children’s Fiction Prize. It does sound as though Mal Peet and Meg Rosoff are favourites to win the Carnegie. I haven’t yet been able to finish reading Beck, which Meg Rosoff completed after Mal Peet’s untimely death. The pedophilia scenes are so confronting I fear the images won’t be erased. 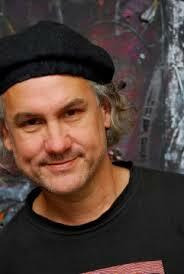 Mal Peet was a raconteur. I chaired a wonderful session at the Sydney Writers Festival with him and Ursula Dubosarsky, whose new novel, The Blue Cat, will be published soon. I was fortunate to have an entertaining lunch with Meg Rosoff and a colleague when working in Brisbane. She is a spectacular, unconventional writer. 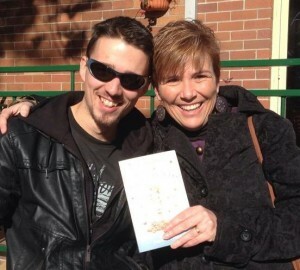 The other international shortlisted authors (and illustrators) are also stars. Fingers crossed for our Australian writers, of course though. Other Australians to have won the Carnegie and Kate Greenaway Medals are Ivan Southall with Josh (our only Carnegie winner so far and that was in 1971- but we have won other major international awards since then), Bob Graham for Jethro Byrde Fairy Child, Freya Blackwood for Harry and Hopper (written by Margaret Wild) and Gregory Rogers for Way Home (written by Libby Hathorn). I believe Levi Pinfold (Black Dog) lives in Australia. 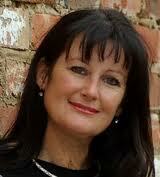 A number of other Australian illustrators, including Jeannie Baker, have been shortlisted for the Greenaway. See the complete shortlists from the official website below. 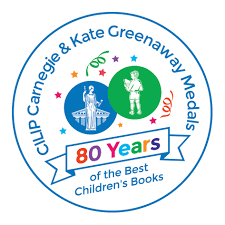 Today (Thursday 16th March), the shortlists for the 2017 CILIP Carnegie and Kate Greenaway Medals, the UK’s oldest and most prestigious book awards for children and young people, are revealed. The Kate Greenaway Medal, which celebrates illustration in children’s books, sees award-winning writer and illustrator Chris Riddell, the Children’s Laureate, in the running to win an unprecedented fourth Kate Greenaway Medal just a year after his hat-trick in 2016. Riddell is joined by another potential record-breaker in the form of Dieter Braun’s Wild Animals of the North. Originally published in German, this is the first ever translated title to make the Kate Greenaway shortlist following the Medals opening up to translated works in English in 2015. They are joined by former Kate Greenaway Medal winners Emily Gravett, William Grill and Jim Kay and first-time Kate Greenaway-shortlisted authors Francesca Sanna, Brian Selznick and Lane Smith. The Carnegie Medal, which celebrates outstanding writing for children and young people, sees a range of YA and Middle Grade books make the shortlist. 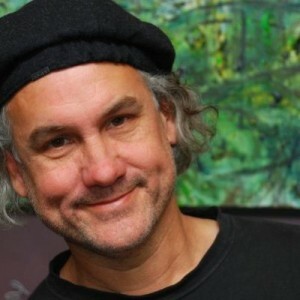 Mal Peet’s final novel Beck, co-authored by Meg Rosoff, could be the second book to win the Medal posthumously, following Siobhan Dowd’s Bog Child in 2009. Peet and Rosoff are joined on the list by fellow former Carnegie Medal winners Frank Cottrell Boyce and Philip Reeve, previously shortlisted author Ruta Sepetys, debut authors Lauren Wolk and Bonnie-Sue Hitchcock and first-time Carnegie-shortlisted authors Zana Fraillon, Glenda Millard and Lauren Wolk. In just a couple of days we commemorate the legacy of the brave soldiers and the tragic events of World War 1 that occurred one hundred years ago. A beautiful selection of ANZAC books for children have been reviewed by Dimity here, but here’s a few more that certainly captured my heart with their touching themes of heroism, love and dedication. Once a Shepherd, Glenda Millard (author), Phil Lesnie (illus. ), Walker Books, 2014. Gorgeous in its lyrical prose. Devastatingly provocative. Stunning imagery. ‘Once a Shepherd’ is a war story of love and loss, sure to break its readers’ hearts. It tells of a young shepherd, living amongst a backdrop of emerald green beauty. “Once Tom’s world was all at peace.” He marries his sweetheart, and all the world seems right. Until he is called to war and he bids farewell to his wife and unborn child. A stranger veteran calls upon Tom’s home once the war had ended, only to share the shattering news of his heroic fall with a now grieving widow. Of the hand-stitched coat she once darned, now a new toy lamb is mended for Tom Shepherd’s baby boy. And the world is at peace once again. 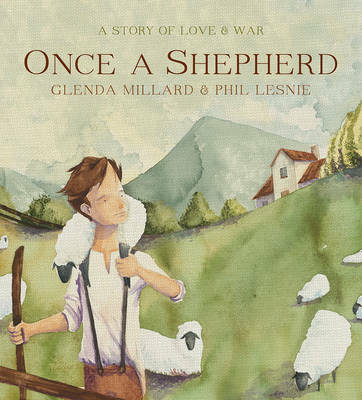 ‘Once a Shepherd’, with its carefully crafted verse and exquisite watercolour images of greens and browns, is a powerful, moving tale of the heartbreaking reality of war and the inherent hope for peace. 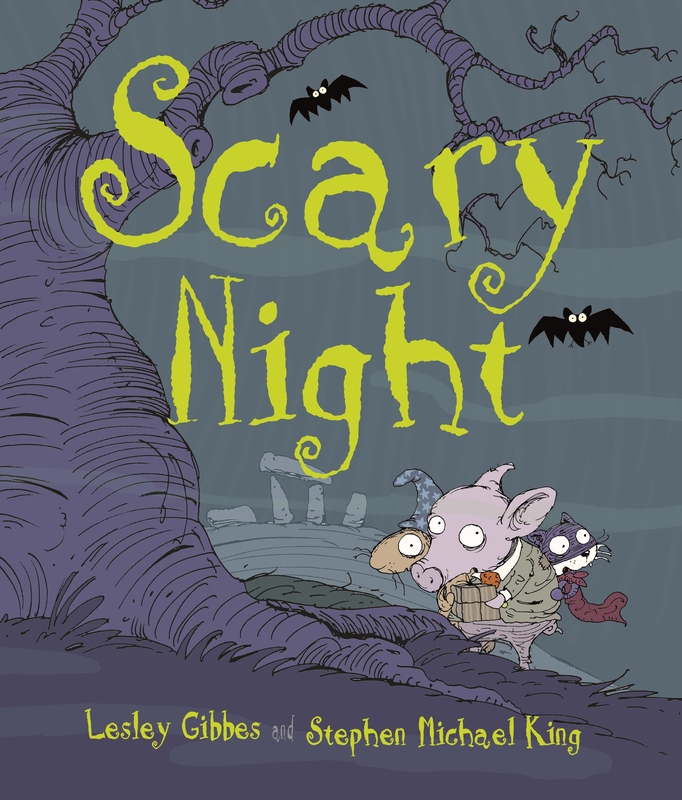 Prized Notable Picture Book of the Year in the Children’s Book Council of Australia’s 2015 Awards. 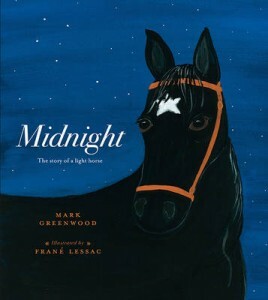 Midnight: The story of a light horse, Mark Greenwood (author), Frané Lessac (illus. ), Walker Books, 2014. A foal born at midnight; black as coal, eyes glimmering in the moonlight. She is Midnight, the Australian Light Horse trained by Lieutenant Guy Haydon and gracious in her charge in the last great cavalry. The first port of call for the soldiers is four months in the trenches at Gallipoli without their horses. Reuniting once again in Cairo, the relationship is further bonded as the pair endure the harsh conditions of the heat, scarce water supply and flying shrapnel. But still, soldier and mare commit to their duties, and to one another. In a devasting final battalion (Beersheba, August 1917), riders tumble and horses fall. Guy and Midnight are both struck; a heartbreaking yet poignant moment as the pair share their last breath side by side. The succinctness of the text reads almost poetically, and the continual references to the affectionate bond between Guy and his beloved Midnight make this war story more of a tender account of their time on the battlefield. The gouache illustrations by Frané Lessac compliment Greenwood’s evocative words and capture the starkness of each war scene. With notes referencing background information on the Light Horse and the details of Beersheba, ‘Midnight’ makes for a terrific resource for studying the war, as well being as a heartrending tale of love and dedication. 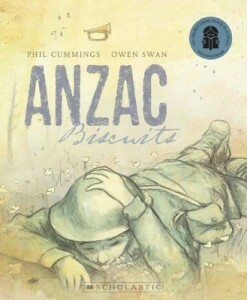 Anzac Biscuits, Phil Cummings (author), Owen Swan (illus. ), Scholastic Press, 2013. This book is probably my favourite of the Anzac stories. ‘Anzac Biscuits’ poses a lovely contrast between a child’s warm and safe home, and her father battling the cold and dangerous conditions out in the trenches. Rachel and her mother spend time together baking Anzac biscuits. As pots and pans bang and crash to the floor, the soldier lays low as shots bang around him. As Rachel sprinkles oats like snowflakes, the soldier turns his back to the bitter cold. The little girl loves the smell of burning red gum in her stove, but the soldier will never forget the choking gun smoke drifting across the fields. Despite the treachery that the soldier has faced, we are given a heartwarming ending we can cherish; the soldier – Rachel’s father – loved the biscuits made just for him. An endearing story of affection, commitment and sacrifice, with equally warm and gentle illustrations, ‘Anzac Biscuits’ is a beautiful way to introduce the topic of wartime to young children. They will also find little clues in the pictures upon revisiting the book, which make for wonderful discussions about what life was like for both the soldiers and their families at home (and the significance of anzac biscuits). 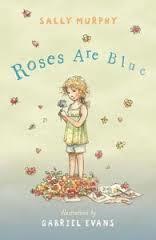 Prized Notable Picture Book of the Year in the Children’s Book Council of Australia’s 2014 Awards. 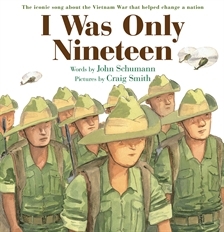 I Was Only Nineteen, John Schumann (text), Craig Smith (illus. ), Allen & Unwin, 2014. The words versing the iconic song about the Vietnam War, ‘I Was Only Nineteen’ tells of the devasting loss, sacrifice and emotional impact an elderly man is reliving of his time as a teenager at war. We travel with this veteran from the moment he set sail, to inhabiting a firey, orange scrub, battling for hours and weeks amongst bullets and grenades and watching mates hit by the blasts. No-one told him about the mud, blood, tears, rashes and chills that would haunt him until he was old. These memories of the war, through these unforgettable words, have been beautifully illustrated by Craig Smith, rendering warmth and respecting the spirit of our soldiers – the fallen and the survivors. I love the clever connection between the past recount and the present with a touch of army green evident in each scene showing the veteran and his grandson. ‘I Was Only Nineteen’ is a poignant rendition of a groundbreaking song by John Schumann, with great historical significance and plenty of scope for wartime study. From beneath a mountain of brightly coloured picture books all screaming for review, I spied the oddly unassuming cover of The Duck and the Darklings. Odd because apart from Peterboy’s candle-hat, this was one sombre looking picture book. Even the title sounded desolate, quirky. Surely though something fantastical had to be dwelling between those black covers because this was the new creation of two of Australia’s most revered story tellers, Glenda Millard and Stephen Michael King. 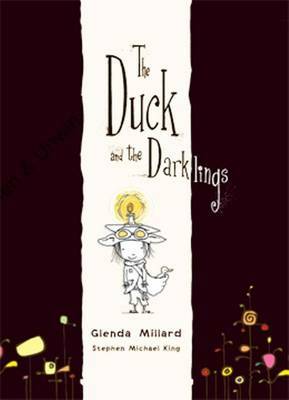 The Duck and the Darklings is less of a blasé five minute read and more of a whimsical journey of despair, discovery, renewal and hope. 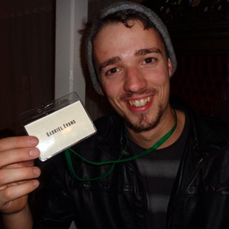 It opens bleakly in the land of Dark and is about a small child named, Peterboy and his Grandpa, who share everything. Their home, though ‘built with care and lit with love’ is not a joy-filled place and is populated by others who depressingly are trapped by their own decayed memories. But buried deep within Grandpa are ‘scraps of wonderfulness’ and ‘symphonies of stories’ past; tinder that Peterboy hopes to ignite and so rekindle the fire in his Grandfather’s eyes. He searches the ‘finding fields’ for something to make Grandpa’s inner light burn bright again but instead finds a wounded duck and takes her home. Grandpa reluctantly repairs Idaduck and fosters a ‘forbidden fondness’ for her. But, just as Grandpa warned, it isn’t long before Idaduck gets the urge to be gone on the wind. Peterboy is determined to make Idaduck’s departure memorable and enlists the Darkling children and Grandpa to help him light Idaduck’s way. It is a farewell and dawn that will never be ‘disremembered’ in the land of Dark. This picture book sent tremors through nearly every one of my heartstrings. As I navigated my way through Peterboy’s and Idaduck’s story for the first time, it felt that Glenda Millard was deliberately tailoring each piece of prose for Stephen Michael King to work his illustrative genius on. Turns out, that was the case. Millard delivers unforgettable word images and unique refrains that defy banality and fill every page with pure poetry. Sorry drops; rusty latch key of his magnificent remembery; crumbs and crusts of comfort; and speckled surprises are just a few of my favourites amongst many of the fine examples of Millard’s exemplary way with words. The Duck and the Darklings appears something of a departure from the norm for Stephan Michael King as well, at first. A noticeable lack of colour, definition and tea pots marks the first two thirds of his illustrations. Splats, smears and stains define the imperfectness and soulnessness of the land of Dark. The world Peterboy inhabits, bereft of light and cheer and hope, reminded me of the slum cities of some third world countries and of the dark depths of one’s own despair. But gradually, almost imperceptibly, the landscape lightens as we eventually rise from the dark of night and the bruised ‘wounds man had made’ with his indifference, heal. A new day dawns, happily, in true trademark Stephen Michael King style. The Duck and the Darklings is indeed a little bit strange, a little bit dark and a little bit different. It is also a lot of wonderful. Beneath an opaque veil of futility and the poignant reality of the inevitability of life, glows an inextinguishable brilliance. Millard and King reassure us that even though physically all may be lost, deep down inside, hope beats. It hangs on like life itself and can be strengthened and restored to full splendour; ‘quack, waddle and wing.’ Truly inspirational. Share this triumphant story with children 5 years and beyond and any adult who’ll listen. Then, listen to this – not certain if the book motivated my mindset for this song or the reverse. Either way both are something special. I couldn’t resist taking a break from my Christmas duties to squeeze this post in. At this time of year, there’s a veritable sleigh-load of children’s Christmas books on offer; exciting new titles and plenty of old chestnuts too. Applesauce and the Christmas Miracle is one of the latter, which if not already part of your Christmas hamper, is destined to become so. Brimming with rural Aussie flavour, this CBCA short-listed picture book is a sensitive juxtaposition of a pig, ironically named Applesauce, who feels hopelessly bereft after a bushfire sweeps away life as she knew it in her valley. Unable to come to terms with the loss, she succumbs to abject depression, certain there will be no Christmas this year for her and her beloved Joe and Marigold; the people she shares her life with. Sage Owl consoles Applesauce, advising her that ‘Christmas comes from the heart’ not from what you have or have not got. But surrounded by such a bleak, scarred world, Applesauce is unable to feel anything but glum. Meanwhile, others from the neighbouring bush are making their way through the empty landscape to see Joe and Marigold. We are still not sure why, although a glimpse at the book’s cover gives us a clue. The arrivals of the Shepard family and Marigold’s three slightly eccentric looking, elderly aunties all go unnoticed by Applesauce, that is until, she is finally introduced to Joe and Marigold’s new baby. Suddenly, all that was miserable and desolate becomes cheery and meaningful. Cockatoos swirl like snowflakes. New red leaves blaze like fairy lights in the fierce sunlight, and it is amongst these simple and symbolic celebrations of new life that Applesauce lets ‘Christmas fill her heart again’. 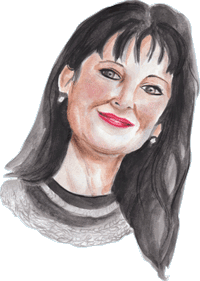 From the first line, award-winning author, Glenda Millard, draws us almost imperceptibly into Applesauce’s pining for better days; days before drought and bushfire desecrated her world. Even without the exquisite illustrations of Stephen Michael King, Millard’s descriptions are deliciously seasoned with enough sensory detail to enable the reader to smell and feel the arid emptiness of the land; ‘night fell as dark as burnt toast’ is one image that lingers on long after being read and is thoughtfully followed by a text-less spread of night, star flecked sky. 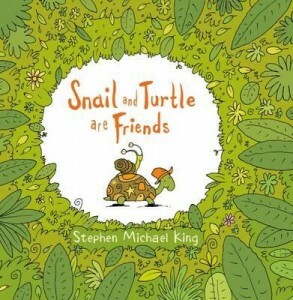 King’s illustrations compliment the poignant text perfectly; never impinging on the tale, always filling each page with delicate, imaginative colour. I adore King’s quirky illustrative style and sense of fancy. Both work well to retell a tale as old as Christmas itself. Adults sharing this picture book with young children will recognise the clever parallels to the nativity story. Young readers will enjoy the gorgeous imagery, magically told tale and simple yet strong Christmas message. 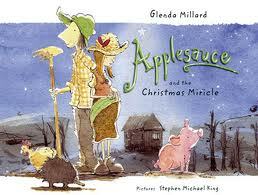 Applesauce and the Christmas Miracle is guaranteed to fill your heart with the spirit of Christmas. Recommended for pre-school age (3) and above.